I LOVE my Misfit Shine. It's a great fitness and sleep tracker, and my favorite thing about it is that it can be worn so many different ways and still be effective (and the fact that it's waterproof doesn't hurt either). However, I recently had a run-in with the Shine's one fatal flaw: it's infuriating tendency to get lost. 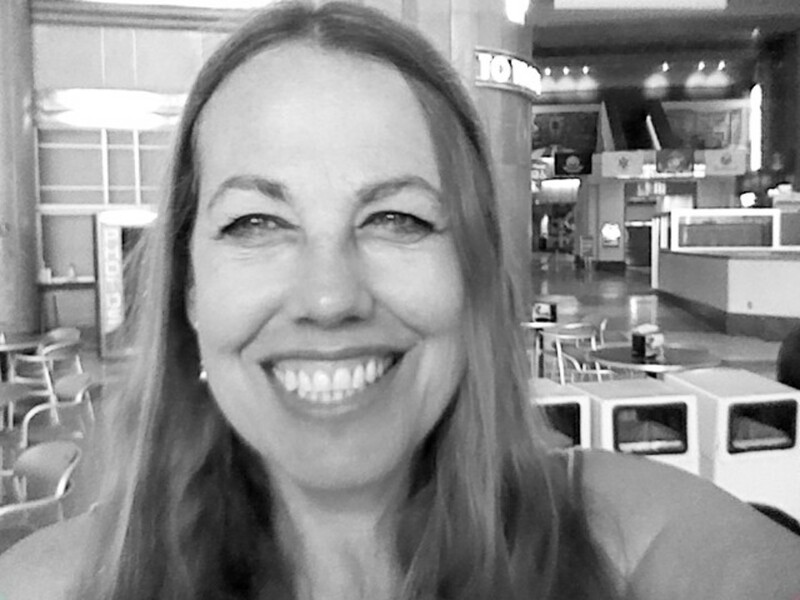 I checked several blog reviews and message boards, and the comments all told the same story; everyone loves the Shine, until it pops out of the wrist band, falls off while clipped to your shoe laces, or just mysteriously disappears without a trace. Fortunately, some of the comments I read offered some extremely helpful and much-needed advice on how to locate your lost Shine. I followed the instructions and was able to narrow down my Shine's location and find it-- what a relief! If yours is lost, hopefully these instructions will help you locate it too. Can Your Shine Be Located? First, it's only right to mention that there are circumstances where your Shine is probably lost forever. The methods I'm about to explain work only if your shine's bluetooth signal is in range, so if you've lost it while kayaking in the ocean, while on a long cycling ride, or simply have no idea when or where it disappeared, you're probably out of luck. On the other hand, if you've lost your Shine inside your home, in your yard, at the gym, on a sports field, basketball court, or other smallish, contained area, these methods can help. Here's how to get started. If you believe you've lost your Shine somewhere close by, try this method first. The Misfit app comes with a built-in option to flash the lights on the device to help you locate it. 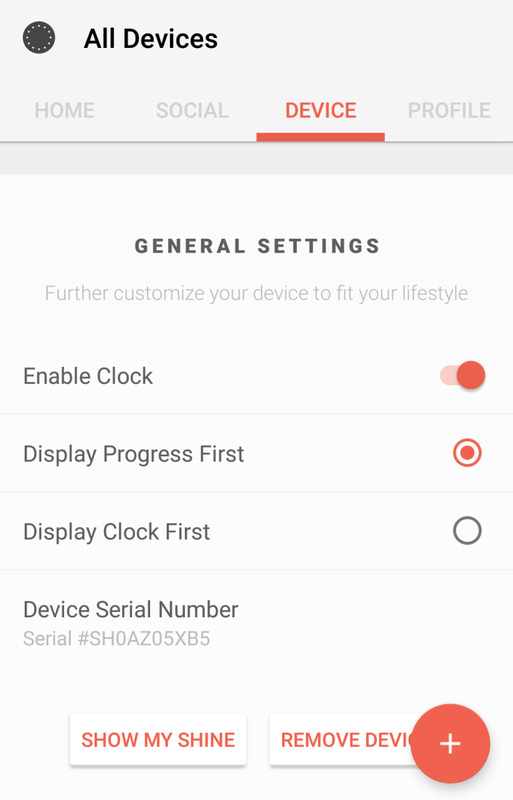 Simply open your Misfit app on your phone or tablet, choose the DEVICE tab, then press the SHOW MY SHINE button at the bottom (see screenshot below). If your device is close enough to establish a connection and the battery isn't dead, the lights will flash. If you don't know where your Shine is yet, keep this method in mind to try after you've narrowed down its location using the second method below. Not Sure if Your Shine Is Close? If you're not sure where you've lost your Shine but you want to try and figure it out, the second method is the one you should start with. This one scans for your Shine's bluetooth signal. If the signal shows up, it means your device is close. Follow the instructions below to get started. 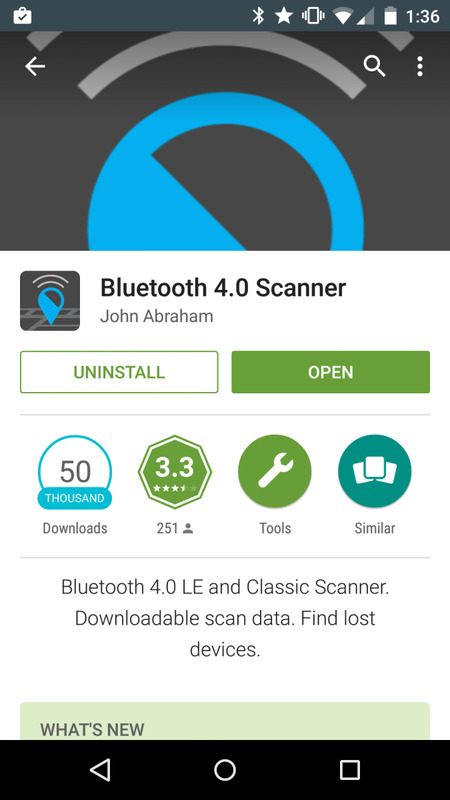 Install the Bluetooth 4.0 Scanner on your smartphone. It's free. Hooray! 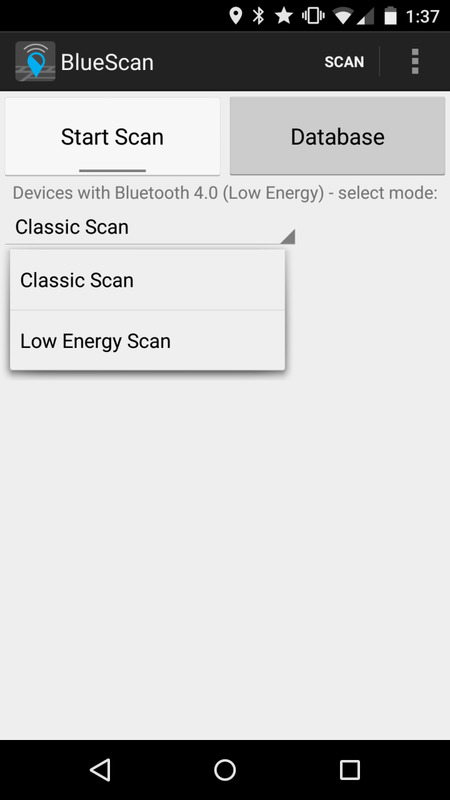 Once you've installed the app, open it and select "Low Energy Scan" from the drop-down menu. The "Classic Scan" option is the default, so you will need to change this setting in order for your Shine's signal to show up on your phone. Once you've set the app to "Low Energy Scan," press the "Start Scan" button. Your Shine's signal will have "Texas Instruments, Inc" listed as the vendor, and the word "Shine" in the description field. The range of a bluetooth signal is about 30 feet, so start where you think your Shine is most likely to be. If the signal shows up, great! You'll know you're on the right track and that you just need to look a little closer in that general area. Remember that your Shine is magnetic, so it might be stuck to something. If you manage to get close enough, don't forget you can use the SHOW MY SHINE button on the app to make it flash. If you're indoors and can turn off the lights and watch for it to light up, it can make finding your Shine a lot easier. If your Shine's signal doesn't show up on the scanner, walk slowly around the area you think it's lost in. When the signal pops up, you'll know you're getting close. I was lucky enough to lose mine in my home, and the bluetooth scanner was able to narrow the signal down to a single room in the house, where I eventually found it wedged in the fold of my desk chair. Were you able to find your Shine with the Bluetooth scanner? I've narrowed down it's location but haven't found it yet. No, I wasn't able to locate the signal. 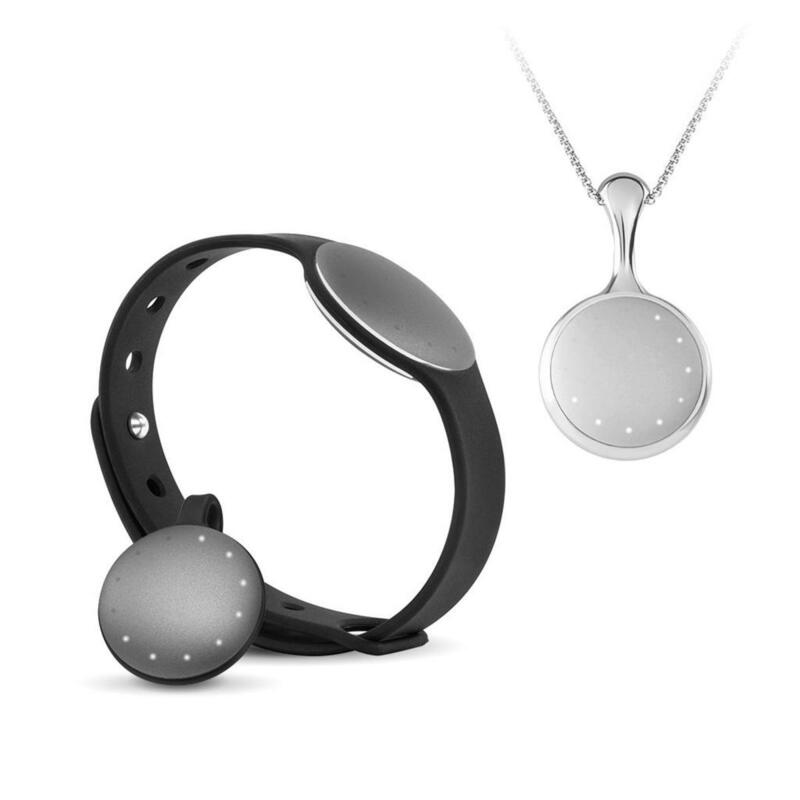 What if I cannot download the Bluetooth 4.0 Scanner to find my lost Misfit device? Thanks for your comment, Theresa, what Bluetooth finder did you end up using? Thank you for your help in finding my shine 2 I didn't find with the bluetooth finder you had above that one was way to complicated, so I went looking for another one and found find my device. Found it in less then 2 minutes. Now to make sure this doesn't happen again. Hi Amanda, yes, that's the only thing I've ever seen it show up as. Will it definitely show up as Texas instruments and shine? I know mine is in my house but when I do the scan I just get all kinds of weird stuff. I once lost my Shine2 on a beach, and came back the next day with a Bluetooth scanning app (I don't remember which one), and was able to find it, buried about 6" deep in the sand. I was pretty happy! Be warn, I lost mine and when I called customer service I was told to deactivate it since it holds personal information and told to call back if I found it to reactivate it. I have since found it but now they are telling me I can't reactivate it that it is a one way street. It worked. Fantastic. I knew I dropped it in a certain area, but being a disc, it rolled into another room. You do need to patient for the signal to register. Thanks for the info, found my shine after losing it over a week ago ! I was wondering if this app was fluxuatin between every step you take. Or do you have to scan again every so often until I find it. Thought I lost mine forever. Came across your article, installed BT scanner app. Walked around and watched the power number fluctuate as I walked around. When the number was at -95, put the phone down and started looking around. The number was highest closest to my pop up hamper. Found it attached to the outside of the basket wiring. This was awesome!! Saved me some $$ in buying a new one too. The thing I missed the most is the sleep tracking. Thanks again! My wife found somebody's lost Shine 2. Is it smart enough to help us find its owner? 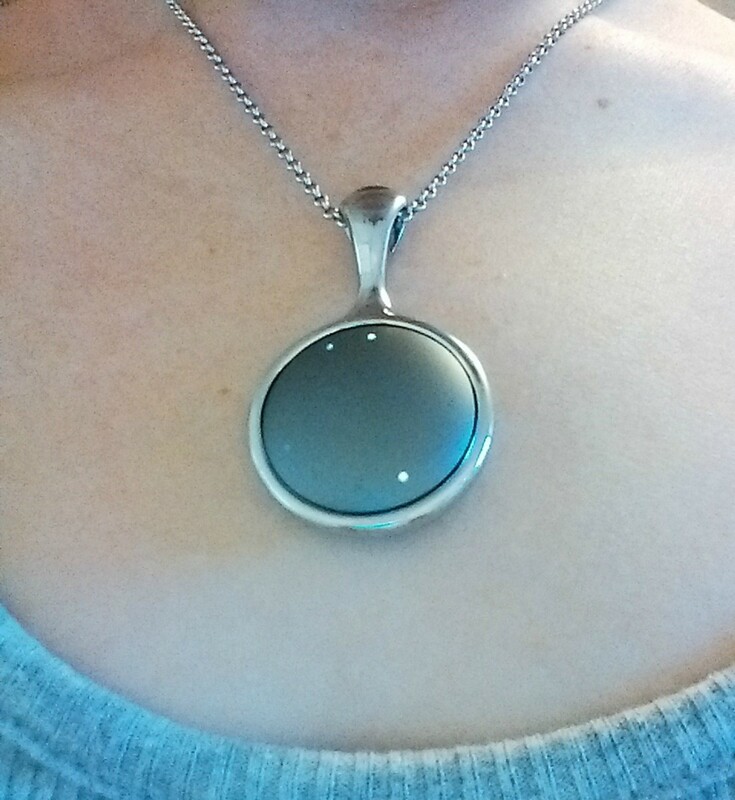 Your article came up in my search for Lost My Misfit Shine and was of tremendous help in finding my device! I was at work and the magnet clip attached itself to a chair while in my pocket. I was panicking and the blue tooth signal gave me confidence that it was nearby. I like my Shine so much I would have bought another one eventually, but lost and found is perfection. Thanks so much! Is there a corresponding app you would use for Apple devices? The misfit FAQ page suggested "Light Blue", but I found that impossible to use. Thanks! Hi Nate, no kidding! Mine has fallen out of the band a handfull of times. I usually use the clip instead at this point. Glad my directions helped! I love these directions! I've had to use these 7 times in the past 2 weeks. Now if we could only get a better band! Could you give me more details, Kayla? It was my experience that the info will only show up when the signal is detected. Just found my misfit using this app.Brilliant.Big thanks ! I just ordered my first Shine -it'll be here soon- thanks for the information! I am uploading preventatively in the meantime, however, I did not find John Abraham's app "Bluetooth 4.0." 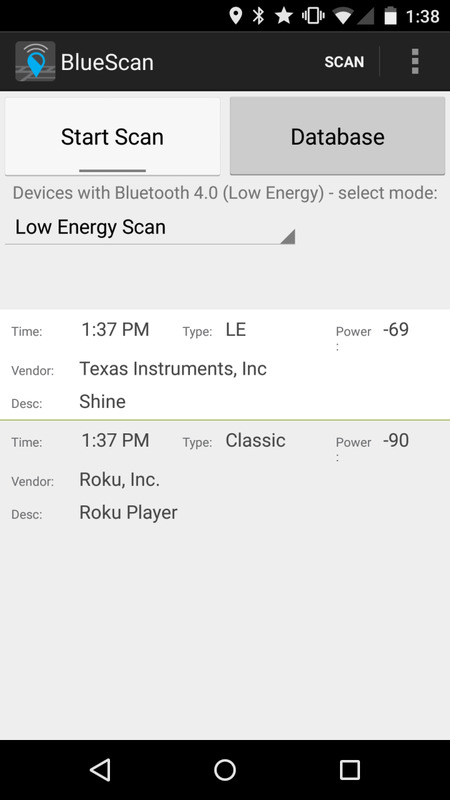 shown above so I found a similar free app "Bluetooth Smart Scanner" by Ace Sensor that finds low bluetooth signals such as the kind emitted by Misfit Shine. Hopefully it will function as well as the app you mentioned. Sorry to hear you weren't able to find it, Susan! I wasn't able to find mine, but at least I narrowed down where it wasn't, which is a step in the right direction! Very helpful! Mine was clipped to a pair of shorts in my dresser, I probably would not have found it until I wore them again if it wasn't for this method. Once I determined the room that it was in, I hit "Start scan" again and zeroed in by the amount of time it took to show up as a found device (I did it 3 or 4 times). Not certain if this is a solid method, but it worked for me. Hi Rose, it should be possible to sync the device with your own smartphone. You'll just need to download the Misfit Shine app and follow the instructions. I found a misfit shine got no idea what it was. Until I opened it up and searched the code. It's actually a really cool device. Obviously I cant give it back to the owner, so I want to use it but I can't as it's linked to the previous owner. Is there any chance of resetting it? Or what do I do with it? I've read your article but like Jodha and some others I have no idea what a Misfit Shine is. Never heard of ( what looks like jewelry) gadget in South Africa. This app isn't the greatest but it helped in narrowing down the location to a T. I was able to fine my wife's misfit. Thank you for the help. Awesome! Really glad it worked for you, Steve! This TOTALLY worked! I didn't think I would ever see my Shine again. It worked thanks so much! It was magnetically attached to my work badge. I had to download the Bluetooth Smart Scanner and worked perfectly! You rock! Thanks for that info Christy. Living in Australia we aren't always up on the latest products released in the States immediately. I'm sure they'll be here soon, if not already. Looks like a useful device though. I live under a rock, and had no idea of such a thing as a Misfit Shine! For those folks more savvy I'm sure this info will be invaluable, though. Now, I'm curious; have to do some further research. I'm sure this is very helpful for Misfit Shine owners Christy, however I have no idea what one is. :) I'll have to look it up on Amazon. I'm sure this hub will make a lot of Misfit Shine owners happy.